I’m running for city council to bring a new, fresh vision and voice to our city council and shape the future of our community. North Vancouver is a special place to live, work, and raise a family. I have the experience, problem-solving skills, and vision to give our city a bright future. Great communities require great leaders. We need leaders with new visions as well as the dedication to get the job done, I believe in making decisions based on what we as a community need, not what I think we need. As a city council, I will be an advocate for our entire city, demanding transparency and results. As all we know, growth does NOT stop, so we should help each other to stay on the right way. Several attributes are necessary for being a good council member and an effective leader. 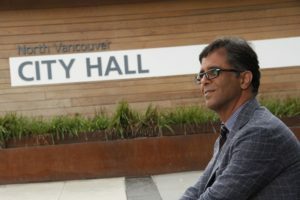 Is a big issue in the city of North Vancouver. Strengthening and optimizing transportation system by continuing SkyTrain rail to North Vancouver and by digging the tunnel under the ocean, will allow travel to West Vancouver. Encouraging the resident of North Vancouver to build their home businesses will reduce congestion. 3 – Encouraging the resident of North Vancouver to build their home businesses, will reduce congestion. 4 – Study and communicate with the provincial and federal governments for the possibility to establish an industrial park in the city of North Vancouver for the businesses with the “Zero” pollution. Traffic will be reduced, jobs and income will be created for residents and local government. 5 – Creating more visitor attractions, will generate income for all residents. 6 – For the parents who both work, allocate after-school programs in community centers to reduce family living expenses. These programs could be run in stat holidays as well. 7 – Inviting college and universities instructors, staff and registrar offices to bring a welcome package to grade 11 & 12 every summer, allowing them to become familiar with universities and colleges. 8 – I respect First Nations and building relationships with First Nations. Respecting rights and inviting them to participate in future programs in the city of North Vancouver. I’m proud to have the support & endorsement educators, families and small business owners. Community involvement starts with listening. I’ll always be accessible to you, and I encourage you to contact me and talk about your ideas. Thank you, and I hope by Election Day I will have earned not just your vote, but also your trust and support and with your vote I will be your voice for our city. 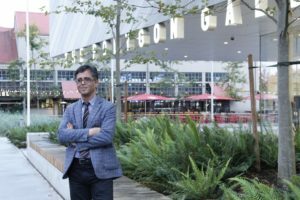 Thomas Tofigh is running to bring the new vision and energy to the North Vancouver City Council in 2018. Thomas lives in North Vancouver, he is a hardworking Canadian immigrant who loves his community and cares deeply about our city. 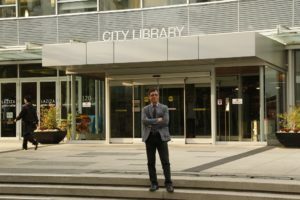 Thomas is running for City Council for three reasons: To support the North Vancouver quality of life, invest in the community’s future, and stand for the values of the neighborhood. 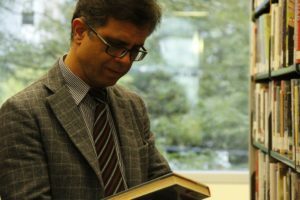 Thomas believes in Canadian institutions; he served as a director voluntarily in West Vancouver Memorial Library Foundation Board for four years. 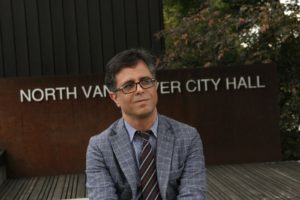 Thomas is Admin of a Facebook group which is called Vancouver Iranian outreach with the over 28k member to help newcomers and residents on Vancouver. Thomas was born in Iran and received a bachelor’s degree in mining engineering from Iran then he moved to the UK in 2008. Thomas master’s in computer science from the UK, In 2011, he moved to Canada as skilled Immigrants with over 20 years knowledge in the immigration field, he has a diploma in immigration consultant and licensed by the governmental authority (ICCRC). With years of hard work and community service under his belt, Thomas believes it is time for the new vision and energy in city government. This election is about the future of our neighborhood. We need to keep our neighborhood moving forward. Thomas Tofigh embodies the bold, energetic, vibrant leadership that is the signature of the North Vancouver side. 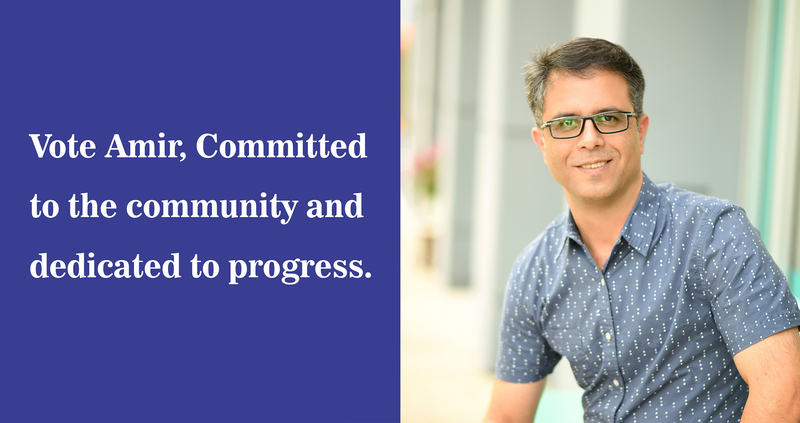 Amir is a hardworking Canadian immigrant who loves his community and cares deeply about our city. 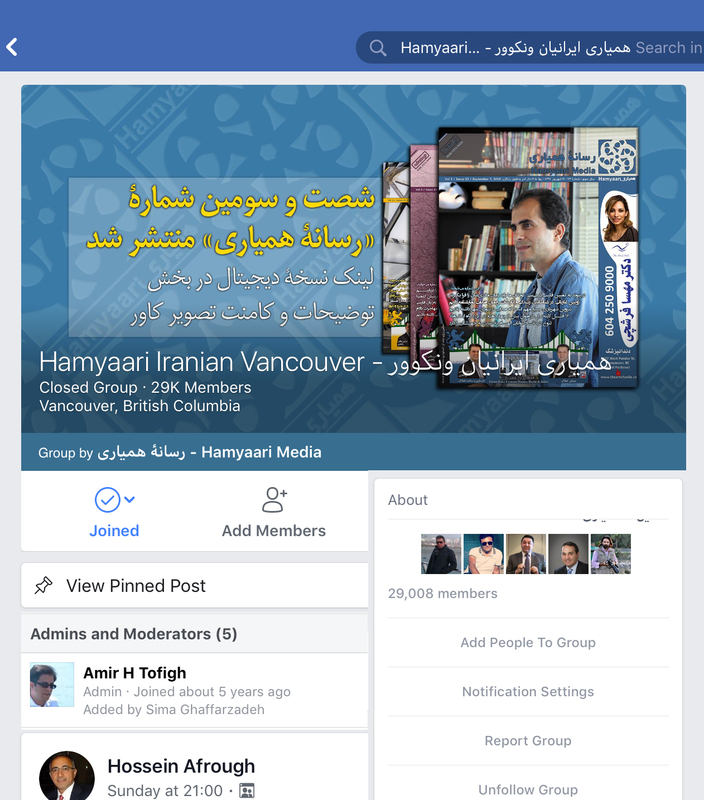 Amir also admin of a Facebook Group which is Called Vancouver Iranian outreach with the over 28k member to help newcomers and residents on Vancouver.